The old year 2015 which saw some massive challenges on India’s wildlife and environment has given way to the New Year 2016. In nature the old gives way to the new, and along with it brings hope and optimism. It is the time of the year where we have hope and a fervent prayer in our lips hoping that the new year 2016 will be better for India’s wilds as well as that of the environment of the world with which it is inextricably linked. The world can’t only run on hope. There needs to be suitable action from all of us as our population of 7 billion is way more than the Earth can sustain. Given how numerous we are, are there any actions which can be triggered using a bottoms up approach ie. which can start from each individual and result in saving our environment and wilderness? Are there any things that an individual can adopt as a new year resolution? Before we preach, we can look within us and our immediate surroundings. In Delhi, I saw several kids waiting with plastic bottles to fill it not from a tap but from the overflow pipe from a house. Given the state of the pipes with construction dust and debris all around the water was certainly not clean. Nevertheless, these kids and a lady were filling their big plastic cans. I stopped to observe and then saw that soon the kids started bathing in the water after filling their cans. The reality of the situation may escape many of our well-to-do readers. There is a huge gulf between the haves and have-nots in our society. Where as we consume and waste water without batting an eye lid, there are millions of people who don’t have a single drop of water to drink or wash clothes. People can easily dismiss this incident terming these people as street kids. However, they are not just street kids. They are people like us but are financially challenged and had to stay in shanties without access to water. A few years back when I was heading an Industry association in Delhi, I was stunned by a request from the peon. He requested me to change the colour of his uniform to a deeper shade. On asking the reason I was told that he never has water to take bath at his home. So he takes bath in the office and hence washing white office uniform is a big challenge. When I was narrating this incident to a corporate bigwig he expressed sympathy. Unfortunately, by sympathizing we are missing the point. As cities are growing bigger and bigger – despite the smart or would be smart tag – they are creaking and groaning due to the huge pressures of millions of people wanting a high carbon lifestyle. 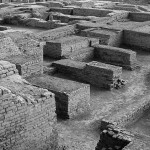 Our earlier agrarian civilisations were based near the rivers. Today the water needs of millions of people ensure that huge dams are built on rivers – stopping their flow and killing them – and also constructing canals to bring that water to the cities. As most of us are now well aware, water has become the key bone of contention between various states. With increasing demand on water there is increased fights between various states. If there is no water security, then our economy will also be jeopardised. It is estimated that by the year 2030 when the human population on Earth reaches 9 billion, the global demand for water will exceed supply by 40%. The price of one litre of bottled water today would have been close to 66% of diesel had our Government not raised excise duties on fuel as the international fuel prices has nose dived to close to 30 dollars a barrel. India with its hundreds of rivers and streams is now increasingly facing problems of fresh water and within a few years it would become as costly as petrol or diesel. Something we need to really think hard. With our own limited influence all we can do is try to look at our wasteful lifestyle and stop water leakage and wastage in our homes, workplace and in our hotel rooms when we are traveling. Every drop of water saved per minute can lead to massive savings. In most of the houses the taps leak. Given the fact that plumbers these days don’t come for minor repairs and also they charge a lot, these leaks remain unrepaired. More importantly, such leaks in the water closets remain unnoticed. If we assume that there is a small leak ie. one tiny drop a minute which is barely noticeable, and If on an average three taps leak then it results in 1 litres of water wasted per household. If the leak is bigger, which is often the case then this figure would be way more and the water leaked per household can go anything between 50-100 litres. If we calculate the total water leaked in a city in India, then it would be to the tune of several million litres per day. That is a sizeable sum. To this figure add the water wasted in the showers. Reducing the flow of the showers or reducing it by even 2 minutes will save a lot of water as we spend anywhere between 10-30 litres of water per minute based on the flow of the shower. Given the reputation of Indian’s for frugality, this is shocking. However, one reason why it doesn’t shock individuals is because the water provided to households is not charged at market rates given the subsidies, lack of meters etc. Awareness is the first step in the long path of preservation. If we can sensitise people then attitudes towards water wastage and preservation can definitely change. Along with individuals there can also be corporates who can take up initiatives to plug leakages in different towns and cities. Given the state of Governance or the lack of it, expecting them to initially wake up might be a tough ask. Nevertheless, concerned citizens can continue to remind their official representatives. The water table in most of our major cities and towns has depleted. According to Central Groundwater Board the water table in Delhi is depleting by 1.44 meters per year due to increased legal as well as illegal extraction. Unfortunately this critical thing is not of concern for many including the Delhi Metro Rail Corporation (DMRC). The DMRC in the past has failed to conserve ground water and had illegally and unscientifically undertaken dewatering while constructing its tunnels so the water level has drastically depleted. Such a large scale construction could have also undertaken rain water harvesting and has also got a notice from the NGT in the past. As concerned citizens we can always start raising awareness within our own societies and asking the society management to start rain water harvesting. Writing to large public entities like DMRC (Delhi metro Rail Corporation) to adopt rain water harvesting will definitely put pressure on them to mend their ways. Improper garbage and sewage disposal is leading to contamination of ground water. Fluoride and arsenic poisoning which were primarily known to be in the vicinity of some rouge industrial units are now increasingly being found in city ground waters. Due to lack of certification and lack of vigilance in the part of authorities, it is not known as to how many of the RO water suppliers providing waters to offices and households depend on such illegal extraction of ground water and have fluoride and arsenic above permissible levels. We are all happily closing our eyes to the health hazards creeping into our homes due to environmental pollution. Rather than just silently cursing the authorities when we come across such practices, it would be good if you can document these even with a mobile phone so that we can raise our voice. If all of us raise our voice by being assertive, the authorities have no way but to mend their ways. Most of us are aware about the need to save power. Some of the companies are moving towards installing automatic sensors to automatically switch off lights when there are no people in the room. At homes many people have the tendency to use blankets and maintain the air conditioner at around 19-20 deg centigrade in their bedrooms. It virtually defeats the purpose of AC. Use a thin sheet if you must and set the temperature at around 24-25 degrees depending upon weather. I am sure in this new year we all can do more to reduce our energy requirements as our power demands leads to construction of too many dams in the rivers drowning hundreds of square kilometres of forests and displacing lot of people. The thermal power plants cause a lot of pollution and are a big bane of our forests as coal mining has decimated some of our once pristine forests. We have a rich cultural heritage and virtually every month there is a festival. In many such festivals we make idols. There was a time when the idols were made of clay and the colours used to paint the idols were made from naturally occurring substances like charcoal, coconut shell burnt to make black etc. Today chemical paints with many different shades are available. Unfortunately, those are highly toxic and the day after the immersion of idols in our rivers, lakes and ponds thousands of fishes and other aquatic life float dead. These days due to our increased level of affluence we are spending more money in celebrating our festivals. So we should also focus our attention in ensuring that our idols are made out of organic substances. The increased use of synthetic fertilisers have resulted in poisoning of our ground water as well as our food. Even an innocuous drink like tea is poisoned due to the higher chemical residues (Green Peace study). It may be a good step if in this year we can also think about adopting an organic way of life and start demanding organic vegetables from our grocers. Writing to the Central and State Governments for promoting organic farming and reducing the subsidies on synthetic fertilisers and pesticides would certainly put pressure on them and make them act. In this era when most of the people are staying in apartments rather than independent houses, there is not much land available for planting trees. However, one can have lot of plants in the balconies adding a tiny bit of greenery which is not only soothing to our eyes but also helps in carbon sequestration. These days many people have started growing vegetables in their terrace gardens as well. Many of these large societies and SEZs have to maintain a green area according to the rules. If possible one can talk with their society management to plant more trees instead of just having lawns. There is more water wasted in the lawns. One can also be proactive in tree plantations in the local parks, fallow lands and SEZs which can be very useful. In an increasingly integrated world, we now have many fruits and vegetables etc from around the world available in the grocery stores. If you want to buy the fancy fruits and vegetables, you are ensuring that the demand for those products increase. With each such purchase our individual carbon footprint increases. These products are transported from thousands of kilometres, use up lots of electricity for refrigeration and obviously contributes to global warming. Remember we are a billion plus population in India and each tiny action adds up to a big carbon footprint. Also it might be pertinent to remind you that we are not sure whether these products have any pesticide residues and there is information of some Genetically modified ones coming in to India. So it is better to have “Think Global and Eat Local” as our motto. Did you know one third of the food that is grown in this world is wasted? This shocking piece of statistic has been provided by Food and Agricultural Organisation of the United Nations (FAO). This adds up to a massive 1.3 billion tons of food wasted every year. This excess production of food grains adds to 3.3 Gtons of Co2 equivalent annually. If we stop wasting food then atleast one third of our agricultural lands can remain fallow without cultivation. This will result in less usage of water reducing the water wars. There will be less of ground water exploitation and less need for dam building. It might be pertinent to mention that globally roughly 70% of fresh water is used for agriculture. In the poorest countries the fresh water used for agriculture increases to 90%. (World Economic Forum report). So in a country like India, a lot of water will be saved in agriculture if less food is wasted. Less area under cultivation will also result in less chemical pesticides and fertilisers used which in-turn means less poisoning of our mother earth. With lands remaining fallow, native vegetation can grow there helping in carbon sequestration. Hopefully it can also act as suitable habitat for lesser wildlife. In short the world will be a better place to live in. In this new year if you can follow this as well as make others aware than this can be a very big move towards conservation. I have observed tourists demanding for facilities in the wild which they are used to at their homes. Remember, each item needs to be specially transported for you. So that adds to your carbon footprint. In places with scarce rainfall, people demand swimming pools, bath tubs, discotheques etc. Water in swimming pools need to be regularly changed and disinfected. That sure doesn’t make us real eco-tourists. Remember if you demand locally grown vegetables, then you would get food which doesn’t have the regular pesticides and fertiliser residues which we often get in cities. So why not do what is good for our health? Too often while driving from one city to another, we pass through a sanctuary, a protected area or wetland etc. We often prefer to munch on fast foods and throw the wrapper out of the car, bus or train window. 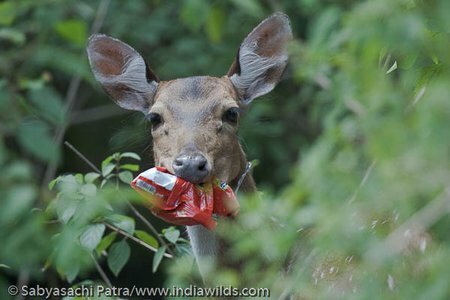 These wafers packets and other polythenes are licked and chewed by herbivores due to the salt content. In the process they swallow the polythene and die and painful death. Since they come close to the road or railway line they also cause accidents. These polythene and plastic packets also pollute our fresh water resources. There is a huge need for generating awareness. Our members may take it up as a New Year resolution of properly disposing garbage and educating others. I hope this is enough food for thought for you to start the New Year. In the past we have seen many scientists and biologists being accused of pandering to the industry and other lobbies and working against the interests of wildlife preservation. 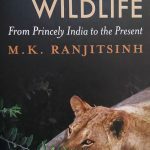 However,there are also many others who are actively working to preserve whatever little is left of our wilderness and wildlife in India. 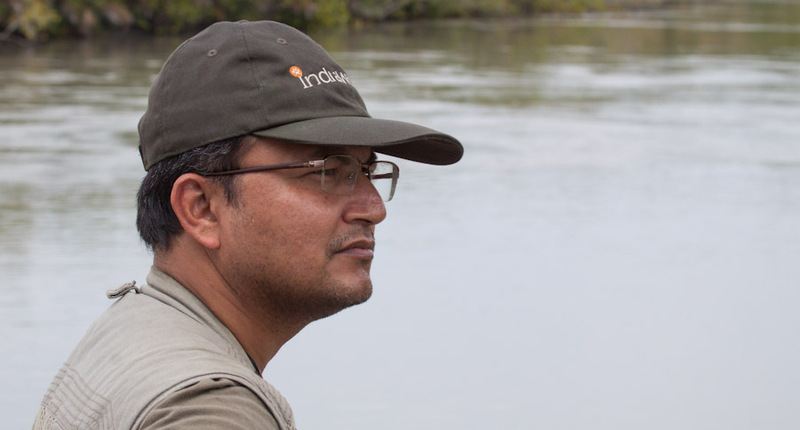 In January this year came the news of Dr. Ravi Chellam, a wildlife biologist of repute deciding to helm Greenpeace India in these troubled times. When a well known biologist decides to play an active role in advocacy it is definitely a big win for the conservation in India. It is well known that Greenpeace is at the receiving end of the Government’s iron hand. Many NGOs have been prosecuted. In such a situation taking up the challenge of heading Greenpeace is certainly a bold move. I am sure, many of our other members can take inspiration from this and at the minimum become bold enough to raise their voice by writing emails and letters to authorities on various issues. World environmental convention of 1992 at Rio, Brazil emphasized on the burning issue of sustainable development in relation to environmental conservation for our future generations. In spite of all-round environmental awareness as well as campaigns in social media, the natural habitat of living organisms is seriously affected by different anthropogenic activities. Where as large infrastructural projects like dams, canals etc. which submerge and fragment the habitat gets immediately noticed, small actions like land use conversion and mining cause a massive impact as they are carried out by huge number of people and agencies. Unfortunately, Damodar river too is witnessing sand mining at a massive scale. 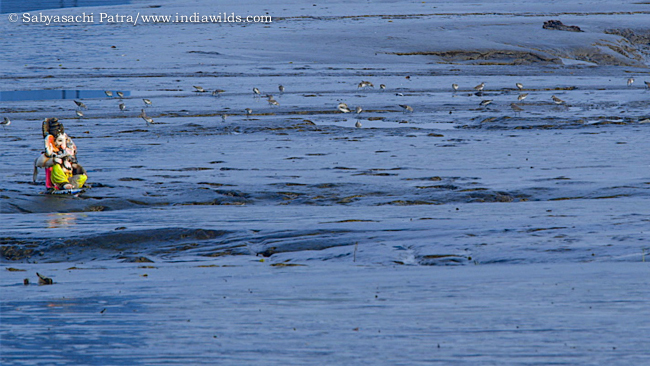 Sand mining is regularly observed in the active river bed of Damodar. 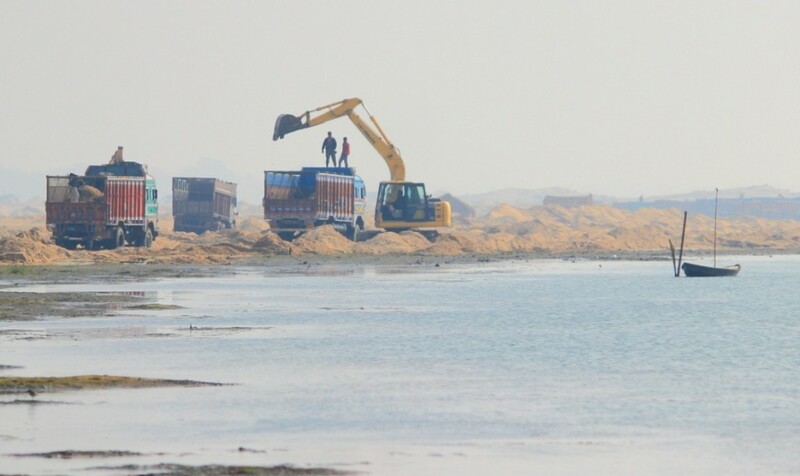 This is sand mining is undertaken by the Damodar Valley Corporation (DVC) at upstream and Irrigation and Waterways Department (IWD) of West Bengal at downstream. River sand is in high demand as it is a key element in building construction. Hence they regularly dig the Damodar river bed. Active and rigorous sand mining activity (both legal and illegal) destroys eco-hydrological balance in the riverine habitats of numerous species. If sand is removed from the river bed then water cannot percolate and this leads to the death of the river. A number of sand mining pits of Damodar River are clearly observed in the satellite image in between Belkash and Jamalpur. The easy route to reach that place is the bus stop of Sadarghat, Barddhaman town where a long bridge, named ‘Krisok Setu’, was constructed to connect Arambag and Bankura. On our periodic survey visits to this region of Barddhaman, in each visit our checklist of bird species and mammals have increased. The river bed of Damodar (including associated part of river banks), especially in winter (from October to March) becomes a mini birding hotspot. More than sixty types of birds and three types of mammals (viz., Indian Golden Jackal, Bengal Fox and Grey Mongoose) are found in this place. 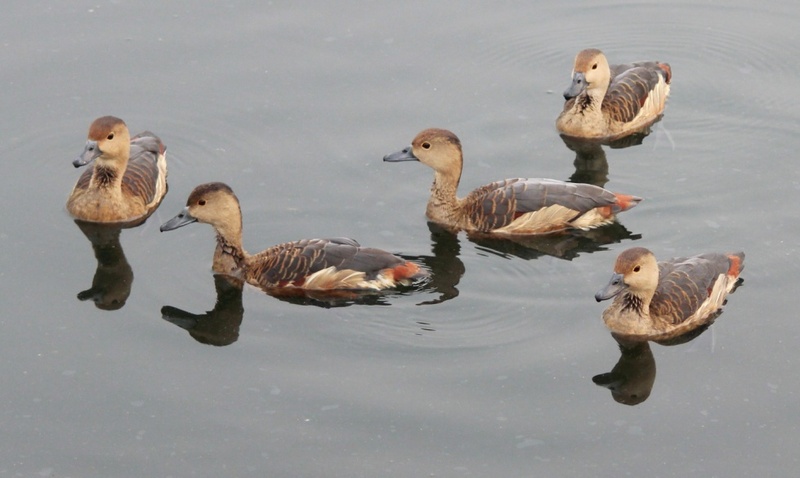 This riverine environment is chosen by different migrant bird species (during their winter migration from Himalayas, Ladakh, Baluchistan, Central Asia, Mongolia, Siberia, European countries etc), like Ruddy Shelduck, Gadwall, Bar-headed Goose, Common Pochard, Brown-headed Gull, Osprey, Common Kestrel, Peregrine Falcon, Booted Eagle, Black-eared Kite, Long-legged Buzzard, Kentish Plover, Lesser Sand Plover, Barn Swallow, Streak-throated Swallow, Small Pratincole, Little Stint, Temminck’s Stint, Common Greenshank, Green Sandpiper, Common Sandpiper, Wood Sandpiper, Pin-tailed Snipe, Black-winged Stilt, Grey-headed lapwing, Great Crested Grebe, Barn Swallow, Brown Shirke, Isabelline Shrike, Indian Golden Oriole, Plaintive Cuckoo, Richard Pipit, Olive-backed Pipit, Black Redstart, Siberian Stonechat, Blue-throat, Taiga Flycatcher, Verditer Flycatcher, Paddyfield Warbler, Oriental Skylark, White Wagtail, Citrine Wagtail, Yellow Wagtail and different warblers etc. Also the water, sands, bars, grasslands, bushes and trees of Damodar River Valley are perfect home to Sand Martin, Little-ringed Plover, Yellow-wattled Lapwing, Common Babbler, Grey Francolin, Common Quail, Black-headed Ibis (near threaten), Grey Heron, Asian Open-bill, Lesser Whistling Ashy Woodswallow, Bush Lark, Sand Lark, Ashy-crowned Sparrow Lark, Plain Prinia, Zitting Cisticola, Paddyfield Pipit, Sliverbill, Chestnut Munia, Tri-colour Munia, Scaly-br easted Munia, Indian Roller, Brahminy Starling, Chestnut-tailed Starling, Baya Weaver, Black-breasted Weaver, Pied Kingfisher, Common Kingfisher, White-throated Kingfisher, Greater Cormorant, Common Hawk Cuckoo, Oriental Honey Buzzard, Shikra, Black-winged Kite, Black Kite, Spotted Owlet, Yellow-footed Green Pigeon, White-browed Wagtail, Common Hoopoe, Pheasant-tailed Jacana and different barbets etc. We have located a large flock of Jacanas, Grey Francolin and Small Pratincole at the river bed of Palla and Hatsimul respectively. 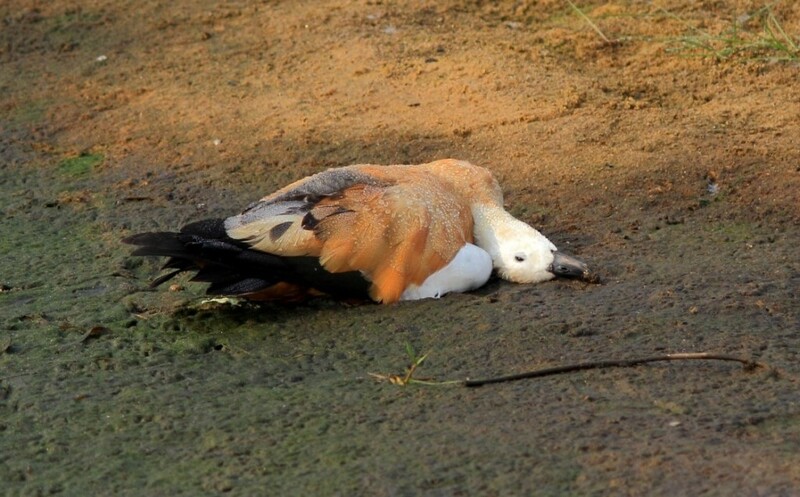 reported that the labourers of mining activity have killed the ducks for lunch and dinner. They occasionally displace the ducks from one place to another along the river. The vegetated mature river islands are habitat and ecological niche to a number of above mentioned species (mainly Grey Francolin, Quail, Jackal and Fox etc.). Gradually after post-monsoon period these vanish due to exhaustive sand mining activity of winter period. Unfortunately this riverine landscape is widely used for picnic as well in the winter months when the loud sounds, mass gathering and pollutions very much disturb them. 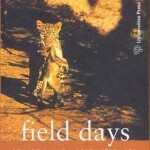 It has been found that intentionally the grasslands are fired for agriculture and also fired in the time of picnic. Due to habitat destruction many species have lost their home for ever. 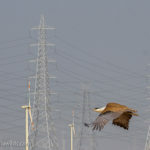 In the month of late December to early January we have found very low birds’ activity in this region. 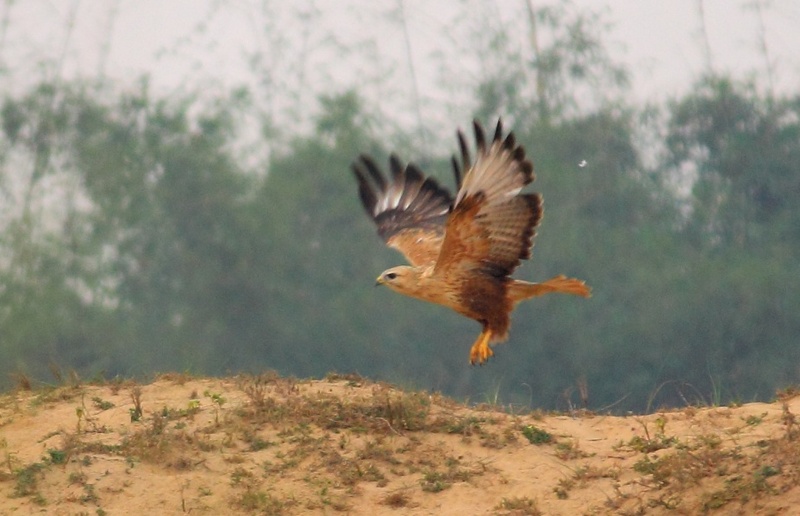 We have recently observed that Ruddy Shelduck, Osprey, Kentish Plover and Small Pratincole are frequently displaced from the river bed in between Sadarghat and Palla due to intensive sand mining. This phenomenon can be managed through conserving these places only for wildlife. The sand mining, picnic and agricultural activity should be restricted at those places (viz. Belkash, Idilpur, Hatsimul, Barsul, Palla, Chanchai, Sadighat etc.). If the government, forest department, BDA (Barddhaman Development Authority) and district magistrate can take initiatives to stop unscientific and illegal sand mining activities in the bed of Damodar River, then we can save those wild habitats for our future generations. Before this beautiful Eden is lost, we should act to save it. 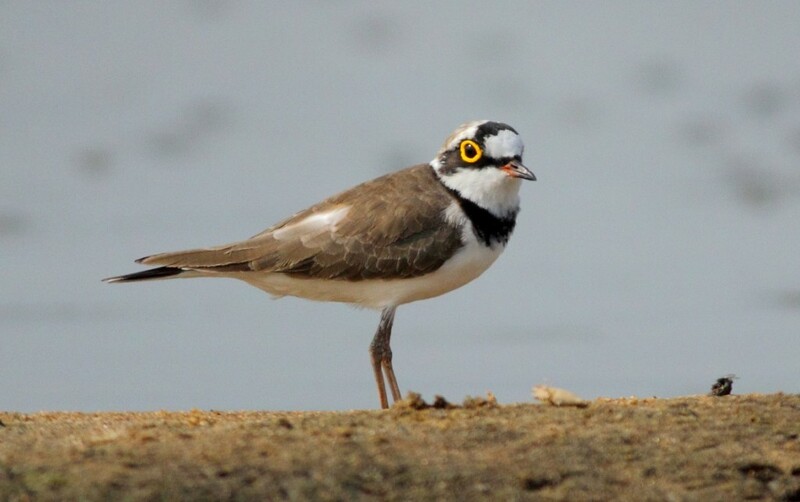 This riverine habitat can be grown as a bird watching hotspot in West Bengal and that can help in tourism which can help in employment generation. We earnestly request all environmentalists, nature lovers, bird watchers and NGOs to please save and conserve the birds’ habitat in and around the floodplains of Damodar River, near Barddhaman town. 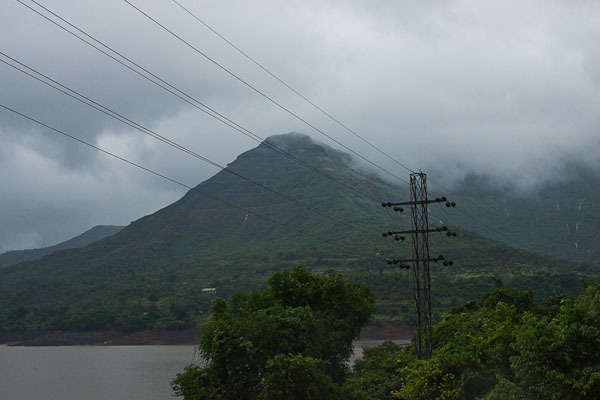 Satara Municipal Corporation has been trying to raise the height of the Kaas dam since last year. The interim report of National Green Tribunal has come out against the plans to raise the height of the Kaas dam as it found that the biodiversity of the Kaas plateau will be adversely affected if the dam height is raised. 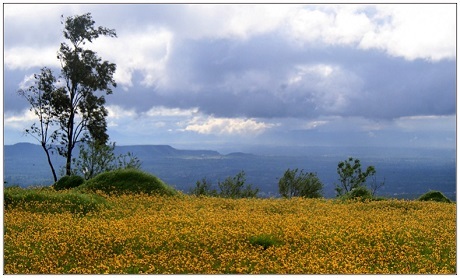 Kaas plateau cannot exist in isolation. It’s surrounding areas, the slopes as well as the marshy area needs to be preserved. If ruined due to drowning, it would be difficult to compensate or recreate. Short sighted approach like this can cause irreversible harm to this fragile ecosystem. The final report is expected around March. Hope better sense prevails and the idea of raising the dam height is dropped. The case of New Kalagarh irrigation colony residents not being evicted till date has been reviewed by the National Green Tribunal bench headed by Justice Swatanter Kumar. 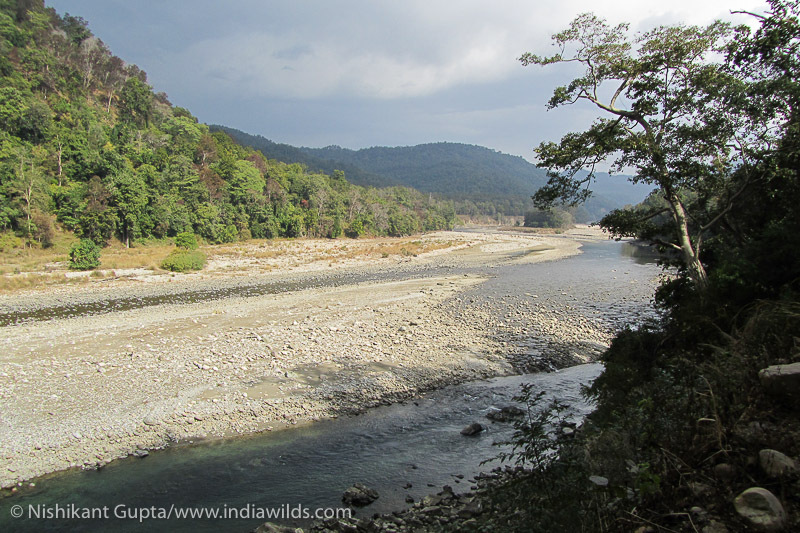 In Corbett Tiger Reserve houses were constructed for people when the dam on ramganga river was being constructed. At that time in 1966 the Corbett Tiger Reserve had handed over 9000 hectres to the Irrigation department. However, nearly eight years later in 1974 when the dam was completed, the residents continued to illegally stay there. 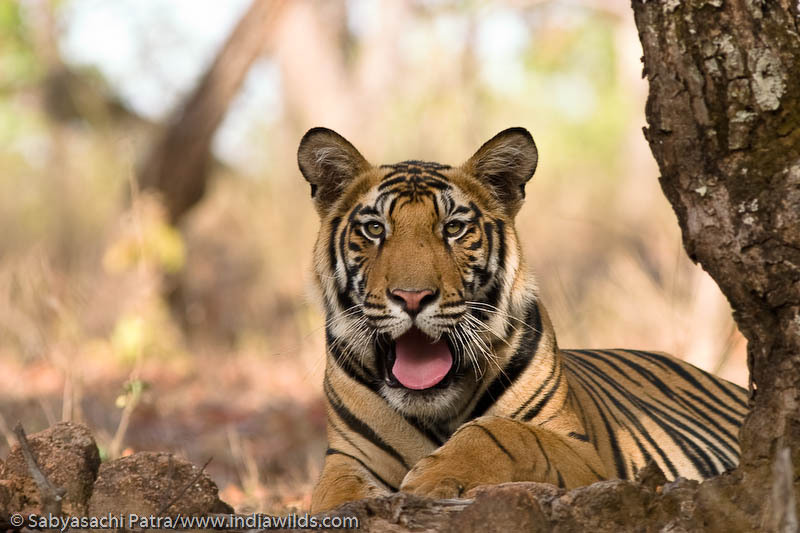 In 2004 the Central empowered committee had given a report about stating that the area needs to be returned to Corbett Tiger Reserve. The Hon’ble Supreme Court in it’s judgment in 2013 had asked the irrigation department to vacate the houses and handover the land to the Corbett Tiger Reserve to which it rightfully belongs. The National Green Tribunal has come down heavily on the State administration and has said “Despite specific order of the Supreme Court which was passed in furtherance to report submitted by the Central Empowered Committee before that court on April 30, 2004, there is practically no progress and there is clear non-compliance to the orders and directions. The conduct of the State authority only exhibits apathy towards compliance to directions. Besides, non-implementation of the orders of Supreme Court, it will have adverse impact on the ecology, environment and wildlife in one of the most prestigious park of the country”. 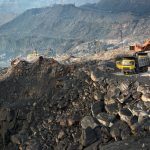 The NGT Bench has created a committee and has directed it to do a study and submit a report within two weeks regarding the structures in the area, whether any of those is of any use for forest activity. This committee comprises representatives from Uttar Pradesh and Uttarakhand Government officials as well as Field Director of Corbett, MoEF&CC and irrigation department officials. Hopefully this saga will get completed this year. The air quality or the lack of it in Delhi has been a matter of discussion of late. Following the admonishment by the Court, the Government in Delhi led by the AAP is introducing the controversial odd-even car rule from January. The Central Government had been quiet till now. However, today the Central Government has issued directions to all agencies falling under Delhi airshed area, under Section 18 of Air Act, 1981, to control air pollution and improve the Ambient Air Quality in Delhi and National Capital Region (NCR). The directions have been issued to state governments of Delhi, Rajasthan, Haryana and Uttar Pradesh. These directions include action against polluting vehicles, stopping overloading of vehicles, ensuring no-parking in non-designated areas, mechanized sweeping of roads, stopping waste and wheat stock burning etc. The Govt. also talks about promoting battery-operated vehicles. If sufficient push is given, then the price of batteries would come down making the battery operated vehicles economical. The order by the Central Govt. also talks about introduction of staggered office timings for minimizing the peak traffic. A rare Bear Cat or Binturong has been sighted in Buxa Tiger Reserve. Acting on reports of a bizarre bear like creature with a bushy tail resulted in forest officials making this unprecedented discovery in Buxa on Wednesday the 13th of January. It was the first ever sighting of a binturong, or bearcat, in Bengal. According to IUCN, The binturong is widespread in south and southeast Asia occurring in Bangladesh, Bhutan, Myanmar, China (Yunnan), India (including Sikkim), Indonesia (Kalimantan, Java, Sumatra), Lao PDR, Malaysia, Nepal, Philippines (Palawan), Thailand, and Viet Nam (Heaney et al. 1998; Wozencraft 2005). Records from outside this range include a 1928 record from Guangxi, China (Zhang 1997) and record from Calauit Island, Philippines (Corbet and Hill 1992) and several from Cambodia (Walston 2001). In Assam, India, the binturong has been noted as not uncommon in forested areas, and is most common in regions with good tree cover (Choudhury 1997). Binturongs are primarily arboreal and since they are heavy they have to descend the trees and hence most of the reports are from camera traps. Binturong feeds on fruits and small animals like insects, birds, and rodents, as well as fish (Lekagul and McNeely 1977). India included the binturong in CITES Appendix III in 1989 (UNEP-WCMC Species Database: CITES-Listed Species 2006). 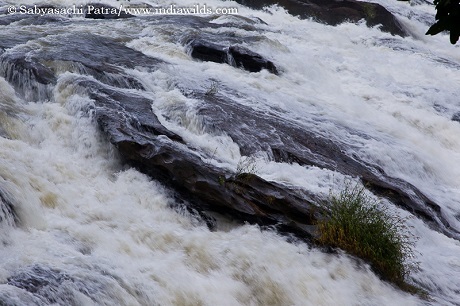 This sighting proves that there is need for more expeditions to these forests to unravel many of its mysteries. In an unusual event in Tamil Nadu at Tuticorin, around 100 whales have been stranded in shallow waters and sand on 11th January night. The fishermen noticed this unusually large pod of whales stranded in the beaches near Manapadu and Kallamozhi villages. Initially reported as Baleen whales these whales have been identified as short-finned pilot whales. These whales appear to be completely disoriented as they are coming back to the shore even when pushed back to the water by the fishermen. When one whale gets stuck in the shallow shore others hearing its distress call try to come its rescue and get stranded. However, in this case since they are repeatedly coming back to the shore, they may have got disoriented by the Navy sonars or some experimentations by the Navy. In the past, such kinds of catastrophic standings have been witnessed due to experimentations of the US Navy. The whales depend on their advanced echolocation modes which are even more sophisticated than the sonars used by our navies. However, the man-made sonars and sounds of other equipment in water play havoc with them. There are specific frequencies which just can “jam” them and make them disoriented and get them to the shores. Some feel that these strandings can also be due to natural change in magnetism of earth as they use geo-magnetic contours for their movement. The bodies of the whales are designed based on the buoyancy of water. When a whale gets struck in shallow water, the reduced buoyancy places enormous stress on its body. The huge weight of their bodies push down the vertebrae which is not designed to support such weight. Their lungs also gets compressed. Heavy internal bleeding occurs and it is a sureshot case of death unless they are pushed back into water immediately. 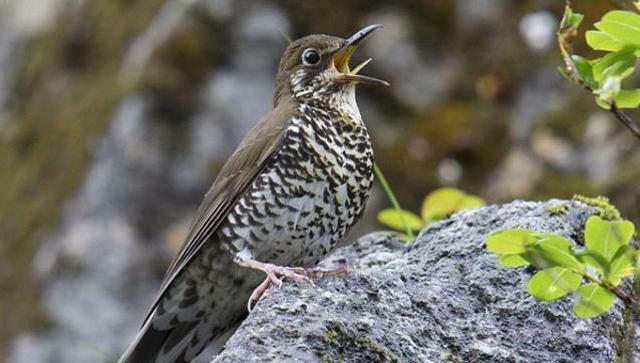 A team of scientists from India, Sweden, China, the US and Russia have discovered a new bird species called ‘the Himalayan Forest Thrush’ thanks to a unique bird song. The team included Per Alstrom from the department of animal ecology in Sweden-based Uppsala University and Shashank Dalvi from the Wildlife Biology and Conservation WCS-India Programme at the Bengaluru-based National Centre of Biological Sciences. The Himalayan Forest Thrush was discovered while studying the birds at different elevations in the mountains of western Arunachal Pradesh. They first noticed that two birds found at different elevations that were seemingly of the same species, called the Plain-backed Thrush, had two different song types. “The one below the tree line had a beautiful song and that intrigued us. There were also physical differences such as a longer bill, shorter wings and shorter legs, but we noticed them much later. The first clue was the song,” said Dalvi. What was thought to be Plain-backed Thrush in the coniferous and mixed forest had a melodious song, but the ones found in the same area but on rocky habitats above the tree-line had a “much harsher, scratchier, unmusical song”. Ironically, the Himalayan Forest Thrush is a very common bird in these areas. “It was hidden in plain sight. It was so similar to the Plain-backed Thrush that unless you hear the song, it is hard to make out the difference,” said Dalvi. 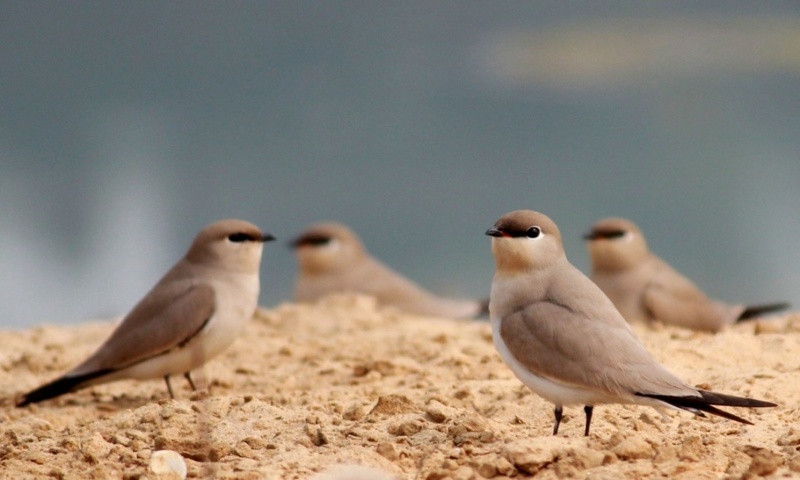 Studies of specimens from 15 museums in seven countries revealed consistent differences in plumage and structure between birds from these two populations. It was found that the species breeding in the forests of the eastern Himalayas had no scientific name, and so it was named “Zoothera salimalii after the late Dr Salim Ali, a prominent ornithologist who made significant contributions to ornithology in India. There has been an amendment to the Coastal Regulation Zone (CRZ) notification which has permitted road building in the reclaimed lands. This basically has been designed to ensure that the CRZ notification banning construction of roads is neatly bypassed. So now brace up to some dumping of debris along the coastline for construction of roads. The scenic views and fragile marine ecosystem be damned. The builder lobby is rejoicing at this news. Creative isn’t it? Unfortunately this Government has already proved to be worse than the previous UPA Government as far as their impact on environment and wildlife is concerned. This new amendment has been issued by the MoEF&CC using an extraordinary gazette notification on the 30th of December, 2015. Cynics may say that the Government works even during the new year eve. This notification also permits the construction and installation of associated public utilities and infrastructure to operate the roads, mass transport or multimodal transit systems. They have mentioned that there would be compensatory afforestation and any mangroves cut will be replanted elsewhere. It is well known that no amount of new mangrove plantation can replicate the biodiversity lost. The mangroves are not just trees but a key part of an ecosystem. Unfortunately, it has been reduced to a numbers game. Also, I would like to mention that while shooting this review in Keoladeo Ghana National Park in Bharatpur and in Delhi, there was no respite from the heavy fog. Visibility was pretty poor most of the time. So any shots that you see in the review film has been shot under trying conditions. Many a time I felt as if there was a veil infront of the subjects. So thick was the fog. Nevertheless, the C300 Mark II worked flawlessly. 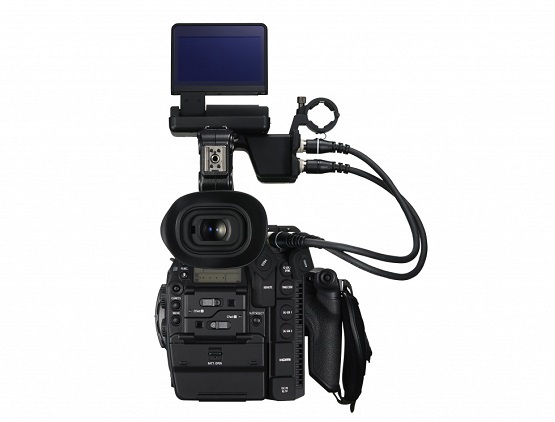 Watch the C300 video here. 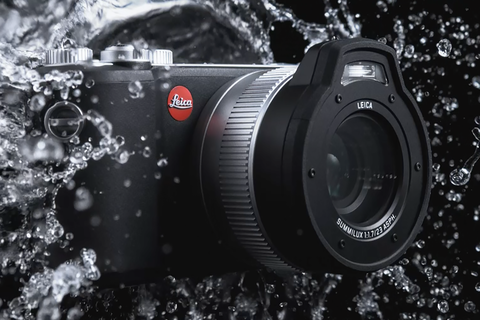 Leica has made its foray into underwater. It has launched the Leica X-U compact camera with a fixed 23mm lens to shoot 16MP stills and HD Video at 30p. The Leica X-U has an APS-C sized CMOS sensor. The camera has a Summulux 23mm f1.7 lens and considering the APS-C sensor it gives a field of view equivalent to 36mm in full frame. The lens is made of 10 elements bunched into 8 groups. It has got 4 aspherical elements and one UW protective glass on the outside. Aperture: widest setting of f1.7 to narrow f16 apertures are possible in this camera. It can shoot in JPEG and adobe DNG formats. The video is recorded in MP4 format in either 1920×1080 at 30frames per second or 1280×720 at 30p. ISO: The lowest ISO setting is at 100 and it can go up to 12500. UW Mode: There is a separate button for operating this camera in underwater mode where the white balance changes and there is a distortion correction applied for underwater conditions. The Leica X-U can shoot underwater upto 49 meter deep and for an hour. Shutter speed: One can use 30s in bulb mode for extreme low light photography and the fastest shutter speed is 1/2000s. Size and Weight: The camera is 5.5 inch x3.1 inch x 3.4 inch and weighs upto 635g with battery. The price would be a major limitation for many people. Many hobbyists are currently using Go Pro cameras. I am even able to intercut Go Pro 4 footage from aerial shots with C300, ofcourse with adequate processing. So if you have the money and the ability to add the famous Leica brand to spice up your holidays, then Leica X-U may be a camera for you. This camera can just be put in your pocket while you are visiting some of the architectural wonders of our world or in adventure conditions. If you are into snorkeling and the existing fish eye of the Go Pro doesn’t excite you, then the Leica X-U may be a fit for you. 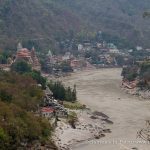 Local stakeholders� participation: key to protecting the Himalayan Rivers? Volume 8 January 2016 Issue of Indiawilds emphasizes Way-Ahead during 2016 about Conservation of limited Natural Resources on the Planet Earth. If things are continued Business as Usual, more than half of World Population, mostly from developing countries, will be facing Water-based Vulnerability by 2025. India with about 17% of Global Population, having just 4% of the total average Annual Run-off in Rivers of the World, will have to focus in conservation of Water Resources from Wastage,Depletion and Pollution. The focus will have to be on the kinds of Economic Growth based on Technologies that minimize both Input of Resources and Output of Pollutants & Waste materials. Every one will have to change the Life-Styles and learn to Think and Act in ecological Way, so that social-changes can be made which are environmentally sustainable. The Planet Earth cannot afford to sustain consumption in excess of its “Net Primary Productivity” which is being apportioned by a few Developed Countries who are living beyond their means at the cost of Developing countries. I compliment Sri Sabyasachi Patra for his excellent presentation about the need for Conservation. The journal has begun on a warning note about the unprecedented scarcity of water, represented and accentuated by the ballooning population of the ‘have-nots’. It is a dangerous situation which will lead to creation of deadly outfits like ISIS and Boko-Haram that will eventually eat up the formidable castles of the ‘haves’. Your observation of the price of potable water compared to diesel drove the point home to the hilt. What do we care about the planet and its other habitants like birds, bears, whales and trees? We are like the fool busy cutting the trunk on which we are seated. As for those gigantic statues being dumped in the ponds and creeks, mum is the word! Who was it who recently said that tigers are important but not at the cost of development? The rest of the issue is a delightful collection of wildlife and gear reviews. We neglect the environment for greed. We don’t realise that in the long run we will pay the price. I think we are already paying a price for it. There are good solutions that you have mentioned here – having plants on the balcony, using organic ideals and not wasting food. I wish I can try my hands at underwater camera. And congratulations on the app.